It was an announcement that almost brought the Internet to a standstill – Joss Whedon, director of Avengers and its somewhat divisive sequel, Age of Ultron, inked a deal last month to write, produce and direct a Batgirl spinoff movie for Warner Bros. and DC. A director of Whedon’s caliber signing on for another comic book movie generated a metric ton of buzz, of course, but the fact that the filmmaker jumped ship from Marvel to DC led many to speculate on the situation behind the scenes – was there a fallout between Joss Whedon and the Powers That Be? Is operating within the MCU really as taxing as those reports make it out to be? While we can’t speak to the latter, THR caught up with Kevin Feige to talk all things Marvel, and one point of discussion was Whedon’s journey to DC. Turns out there are no hard feelings between both creator and executive, and Joss Whedon’s break-up with Marvel – if you can really call it a break-up, that is – was not only amicable, but the filmmaker also confided in Kevin Feige long before the Batgirl news was made official. He called. A couple months ago, which he didn’t have to do and was super cool of him and super nice of him. And we couldn’t be more supportive. We want to see a Joss Whedon Batgirl film be awesome. 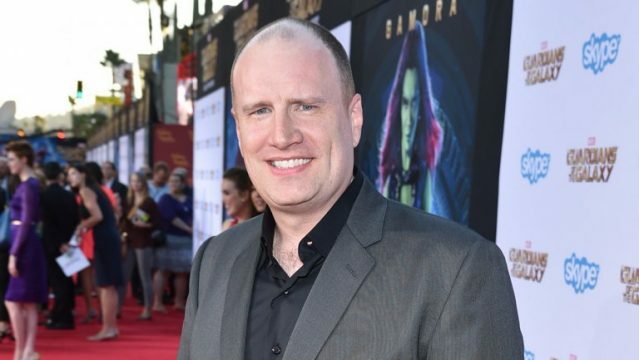 Further in the piece, The Hollywood Reporter presented the possibility of an R-rated Marvel movie to Feige, to which he replied with a categorical ‘no’. Citing Deadpool and Logan as examples of R-rated movies done right, the Marvel boss then pointed to the former’s rip-roaring sense of humor, along with the conclusive nature of Wolverine’s final bow, as the two driving forces behind that respective success – not necessarily the R-rating. It’s a plan that will involve both Avengers 4 and a sequel to Spider-Man: Homecoming. “That’s as far as it goes for now,” according to Feige, indicating that there is still space in Marvel’s cinematic pantheon for Tom Holland’s Web-Head further down the road. Next up for the Marvel Cinematic Universe is the release of Guardians of the Galaxy Vol. 2 on May 5th, followed by the one-two punch of Spider-Man: Homecoming (July 7th) and Thor: Ragnarok (November 3rd).